Will Canada’s Underfunded Small Charities Survive? With the election looming next month and a recent change of leadership for one of our main political parties we could be set for an interesting outcome. Suffice to say, Hui E! continues to advocate for your views and the stories and issues that matter most to you. Soon we’ll be releasing our report on key community sector themes for the election 2017. On the 23 of September, voters will elect a new group of leaders who will determine the path of the country for the next three years. This report will serve as a message to those people voting, those advocating for community issues, and those hoping to participate as members of the new government to come. Through research involving a collection of non-government organisations from across the country, this report seeks to identify the main themes regarding the upcoming election that are coming from the community sector. Through examining election manifestos and community blogs, email correspondences and interviews with community leaders, as well as observations gathered from some community events, this report aims to provide a rundown of common themes that we have encountered regarding the upcoming elections. With key themes such as housing, poverty, children and youth, mental health, environment and funding the report provides for an interesting read. It also contains insights into what the next government might want to consider if they are focused on providing sustainable governance in genuine partnership with communities. A huge thanks and ka kite from Hui E! 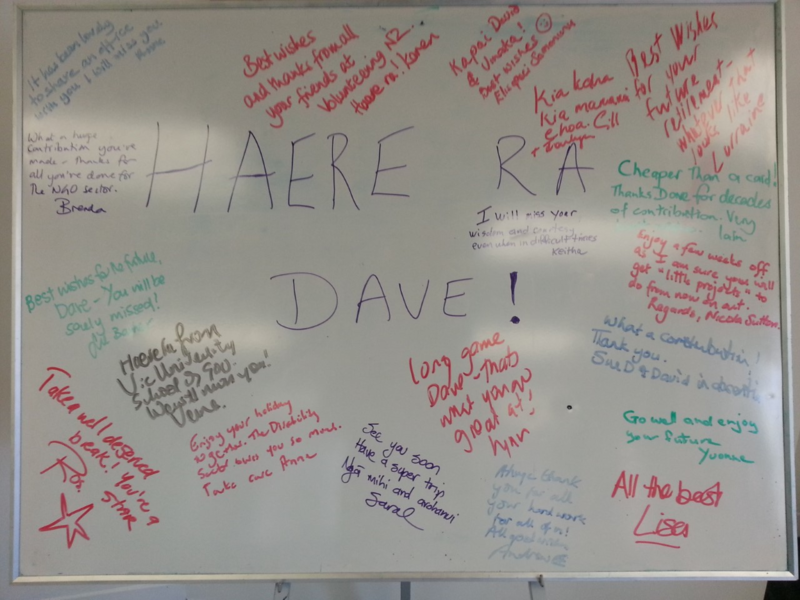 and the community sector to Dave Henderson Hui E! External Relations Manager! Dave finishes with Hui E! this week and will take a well deserved holiday abroad. Many of you will know Dave through the commitment he’s shown over the years to advocate on behalf of the community. A big welcome and nau mai haere mai to Ronja Ievers our new External Relations Coordinator. Ronja will take up part of the role Dave leaves behind to ensure we keep things going but i will let Ronja introduce herself in the pānui. We expect a few minor changes in meeting scheduling and formatting but all in all we look forward to continuing our work! Hello everyone, my name is Ronja Ievers and I am excited to be working with the Hui E! team over the upcoming months. As the External Relations Coordinator, a key focus of mine will be on coordinating Hui E!’s regular hui/forums in Wellington, Auckland, Christchurch and other centres, strengthening relations with groups outside of the sector, and supporting the exchange of information. It is important to me that I can add value to Hui E! and your work, and I acknowledge the legacy left behind in the sector by Dave Henderson. I wish him well for the future. 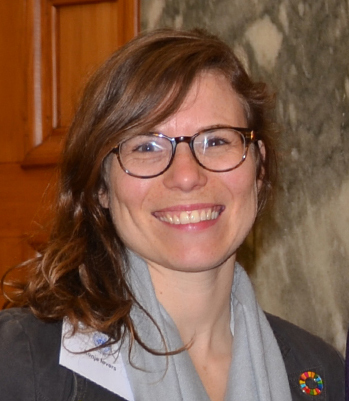 I am an educator at heart and I practice this in a variety of ways – in my work in early childhood education, with pregnant women and their whanau in the community, teaching language, or in my (other part-time) role at the United Nations Association (UNA NZ). Part of my role with the UNA NZ is educating the NZ public about the work of the UN and encourage engagement with it, with a focus on the 2015 adopted Sustainable Development Goals. I worked for the Ministry of Education for 5 years until last year, mainly within the area of foreign government liaison, providing NZ education sector support, research and policy development. I was the penholder for several UNESCO reports on how the NZ education system performs for its most marginalised groups. I also bring experience of working on organisational development, communications, public relations and events. I would love you to drop me a line and introduce yourself. I look forward to working with you all and supporting you in, and learning about, the amazing work you do in our communities across New Zealand.